President of the Jewish congregation at Altona at the beginning of the eighteenth century. He was the author of: "Dibre Ḥakamim we-Ḥidotam," giving the sources and interpretations of many rabbinical laws (Altona, 1743); "Adne Faz," responsa on the Shulḥan 'Aruk, especially on Oraḥ Ḥayyim (ib. 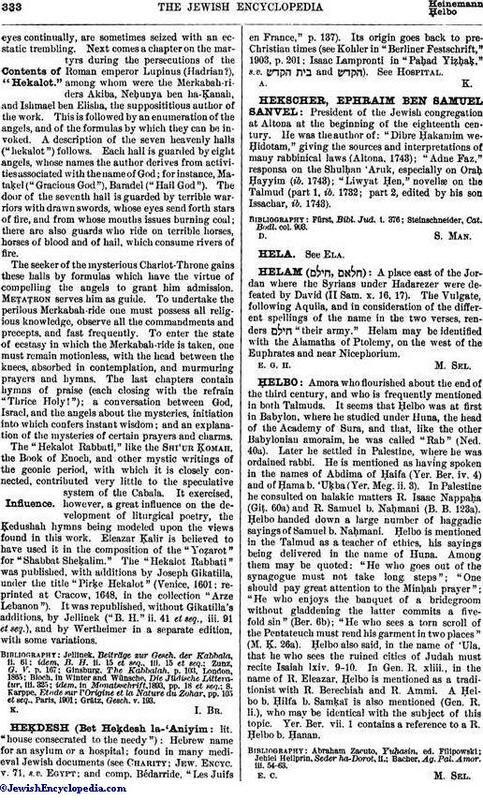 1743); "Liwyat Ḥen," novellæ on the Talmud (part 1, ib. 1732; part 2, edited by his son Issachar, ib. 1743). Steinschneider, Cat. Bodl. col. 903.